Decorators’ ShowHouse for 2018. 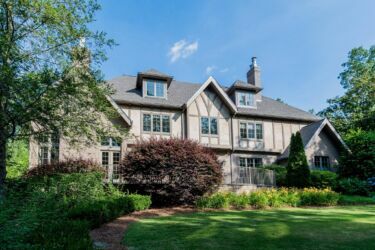 This beautiful home is located on Cherokee Road in Mountain Brook. The 2018 ShowHouse sits on 2 acres, and has 5 bedrooms, 6 bathrooms, and a pool.Opening day for the Decorators’ ShowHouse is Saturday April 28th, and the ShowHouse will run through May 13th (Mother’s Day). The Symphony Volunteer Council hosts this annual fundraiser each year to benefit the Alabama Symphony Orchestra. Parking for the Event will be at the Mountain Brook Presbyterian Church located at 3405 Brookwood Rd, Birmingham, AL. Shuttle service is provided to the house. The Cafe and Sweet Shop is open Tuesday - Saturday from 11:00 am to 1:30pm. House hours are Tuesday - Friday, 10:am to 3:00 pm. Saturday, 10:00 am - 4:00 pm and Sunday 2:00 pm to 5:00pm. The following are not allowed in the house: Photos (camera or mobile devices); small children or strollers; large purses/totes; food or drink.